In celebration of Veterans Week 2018, the University is recognizing stories of student veterans and faculty/staff veterans. These stories are just some of the many from among the veteran and military-connected community members on campus whom the University is dedicated to supporting. From welcoming veterans to campus as far back as World War I, and having the longest consecutively running ROTC program in the country, the University is committed to being the “best place for veterans.” Today, read the stories of student veteran Min Kang Kim, a Korean immigrant who has served in the U.S. Army, and Sam Clemence, the University ombuds and Vietnam-era Navy veteran. For Min Kang Kim, courage means facing challenges head on, committing yourself to getting better, and never getting complacent. This mentality has carried her through the various obstacles she has faced emigrating from Korea and making her way to Syracuse University. Kim, a U.S. Army veteran turned economics major and Army ROTC cadet, was born and raised in Korea. She moved to the U.S. with her mother and little brother when she was in high school. Meanwhile her father stayed back to work and support the family. She entertained the idea of joining the United States military after high school but instead spent a year at Binghamton University. As she wasn’t yet a citizen, she didn’t qualify for a scholarship and had to work three part-time jobs in addition to the support her mother provided to attend Binghamton. “Three more years of that grind was daunting,” says Kim. After that first year, Kim explored opportunities in the U.S. Army through Military Accessions Vital to the National Interest (MANVI). Through MANVI, legal non-immigrants with critical skills are recruited for military service and offered a path to citizenship, usually at the end of basic training. She decided to enlist. In basic training, Kim encountered challenges she had never faced before, but also found a sense of accomplishment as she conquered them. In 2014, Kim began an assignment in her native country. She spent two years in Korea as a logistics specialist, where her younger brother Paul, also a logistics specialist, was stationed as well. “We are very close and very similar. Both going into the Army and becoming logistics specialists, we have a special bond and really trust each other,” says Kim. After returning from Korea, Kim spent three final years of service in Fort Drum, New York, leaving the military as a sergeant to pursue higher education. Kim applied through the Green to Gold program, where active duty soldiers can leave the military, pursue their degrees through ROTC and then return to service. The scholarship also covers her undergraduate tuition and helps preserve her GI Bill benefits for post-graduate studies. Having been accepted to a number of prestigious colleges, Kim selected Syracuse specifically for its commitment to veterans. “As I was looking at schools I consulted the rankings. Syracuse is the number one private school for veterans, which made my decision easy,” says Kim. During her first semester on campus, she struggled to adjust as an older student juggling both academics and the work required for ROTC. She tapped into her Army experience, which she says gave her the focus and discipline she needed to manage her responsibilities as an ROTC cadet and student. Kim also has found what she calls a “very veteran-positive” atmosphere on-campus specifically when seeking help from professors and tutors. 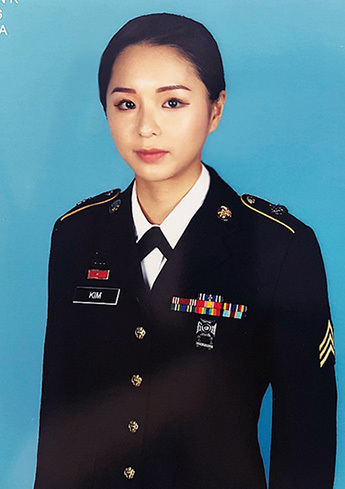 As an ROTC cadet, Kim will return to military service after graduation. After her time in uniform, she hopes to use her military experience and economics degree to pursue a career in political diplomacy. 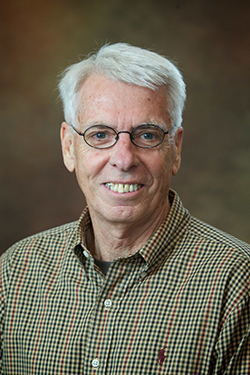 While earning a master’s degree at Georgia Tech, Sam Clemence, Syracuse University interim ombuds and professor emeritus of civil engineering, knew he would be drafted into the Army because, as he says, he “was standing up and breathing.” Instead, he chose to enlist in the U.S. Navy’s Civil Engineer Corps. Clemence graduated Officer Candidate and Civil Engineer Corps School and was quickly assigned to Mobile Construction Battalion Three, which he affectionately refers to as the “Seabees.” He served tours in Guam; Danang, Vietnam; Phong Tong, Thailand; Chu Lai, Vietnam; and Rota, Spain, until 1966. He recalls the time he spent with a Seabee Battalion building roads, dams and an airstrip in Phong Tong as standout experiences in his service. 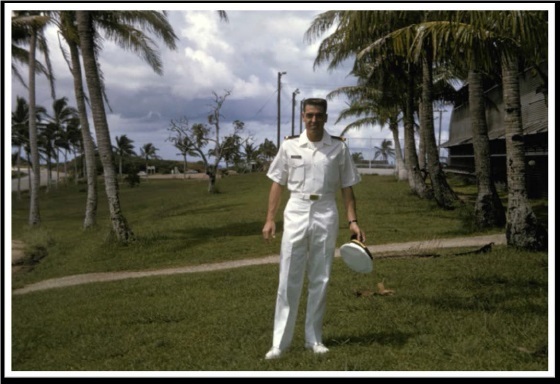 While stationed in Rota, Spain, Clemence met his wife, Lt. Carolyn Clemence, Nurse Corps USNR. Clemence was honorably discharged in 1968. Upon returning home, he returned to his alma mater and earned a Ph.D. supported on the GI bill. But, like many veterans of that era in particular, he found it difficult to adjust to civilian life. When Clemence began teaching civil engineering at Syracuse University in 1977, he didn’t disclose his service record to peers and students. He did however always make sure to look out for veterans and ROTC cadets in his classes. During his time as interim dean of Hendricks Chapel, Clemence initiated a program to help veterans adjust to college life. His mentorship and inclusion of his military experience in the classroom is a part of what helps him connect with his students that have served or later joined service. Clemence stays in contact with active duty alums that he taught, including Lieutenant Junior Grade (LTJG) Maxwell Perrin currently serving at the U.S. Naval Base in Atsugi, Japan and LTJG Robin Pepper serving in Amphibious Battalion One in San Diego, California. Today Clemence is very pleased with the culture for veterans on campus. Will Local Governments Begin to Share Services?